You know how when you eat an Olive Garden breadstick or 12, you're like, "Wow, I never knew the meaning of family until this exact moment?" Same. They're perfectly soft and chewy with a buttery, garlicky finish that's making my mouth water as we speak. It's a recipe for addiction — and for getting full before your meal even reaches the damn table. I know this word gets thrown around a lot these days, but those breadsticks are truly iconic. Visiting the overcrowded Olive Garden in NYC's Times Square would be a devastating blow to my overall well-being, so I decided to see if there were any good copycat recipes for those famous b-sticks I could make at home, safe from tourists who are ravenous after a trip to the M&M store. I'm honestly shaking just thinking about the Times Square location, where there was once an actual knife fight. 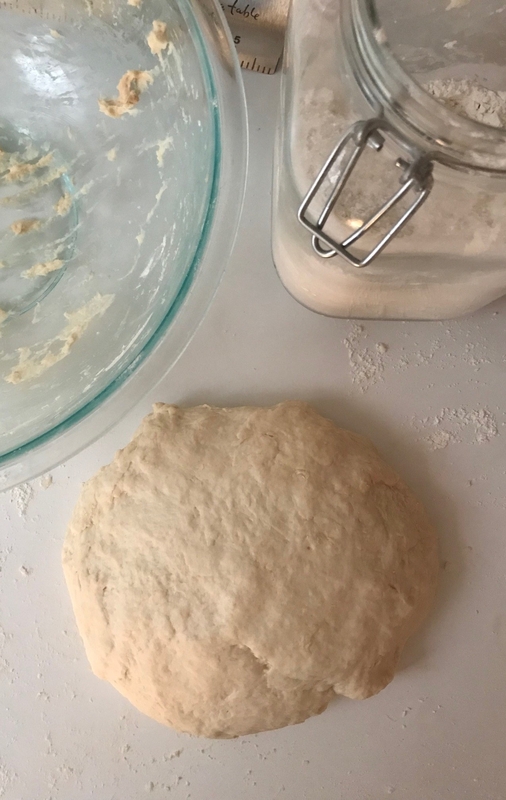 When I saw this Genius Kitchen recipe that's ready in 31 minutes (plus 45 minutes of ~dough resting~), I was like, "Sounds fake, but OK" and immediately committed to investigating this dupe that was BIG if true. Not only is that a super-manageable amount of time, but also I already had all of the ingredients at home, a major plus. All I needed was yeast, all-purpose flour, unsalted butter, sugar, salt, garlic powder, and oregano. 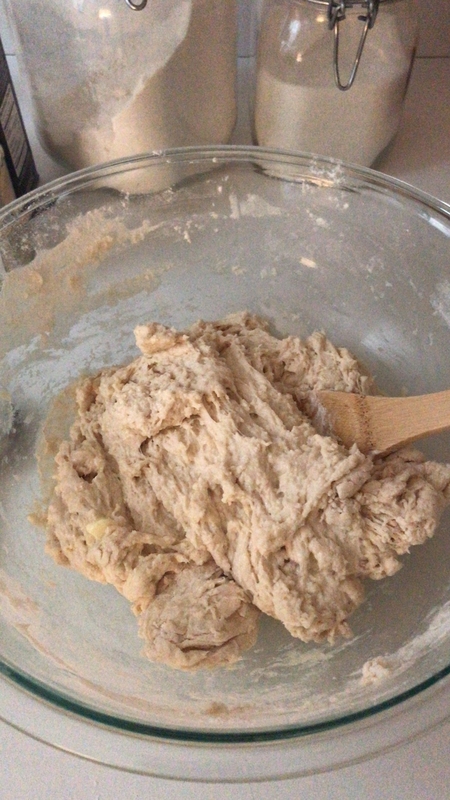 Following the recipe was pretty straightforward — let the yeast get foamy in water, combine the ingredients, mix it into a slightly sticky dough, knead. Even someone new to bread-baking like myself could handle the instructions. 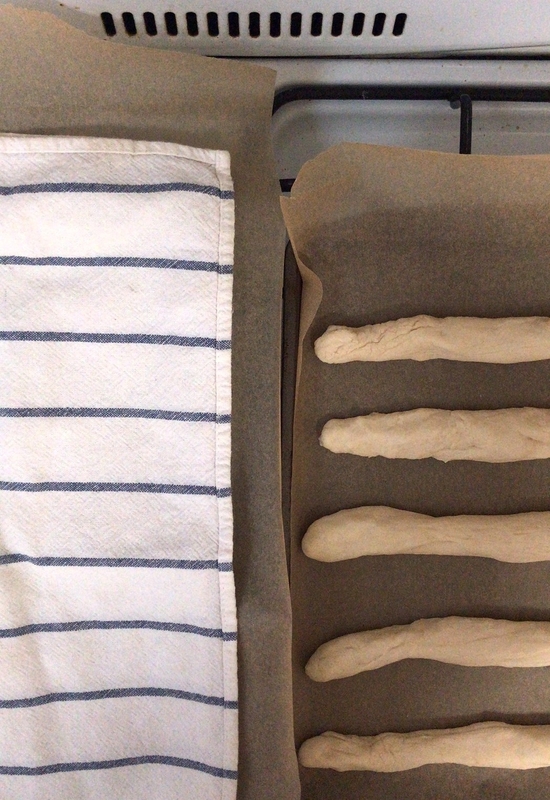 My only knowledge of bread-baking really comes from The Great British Baking Show, and yes, I narrated the entire process as if I were one of the nervous yet cheeky contestants. My partner definitely loved my incessant commentary, like, "This dough seems a bit too sticky, but time is really tight, so I must press on." 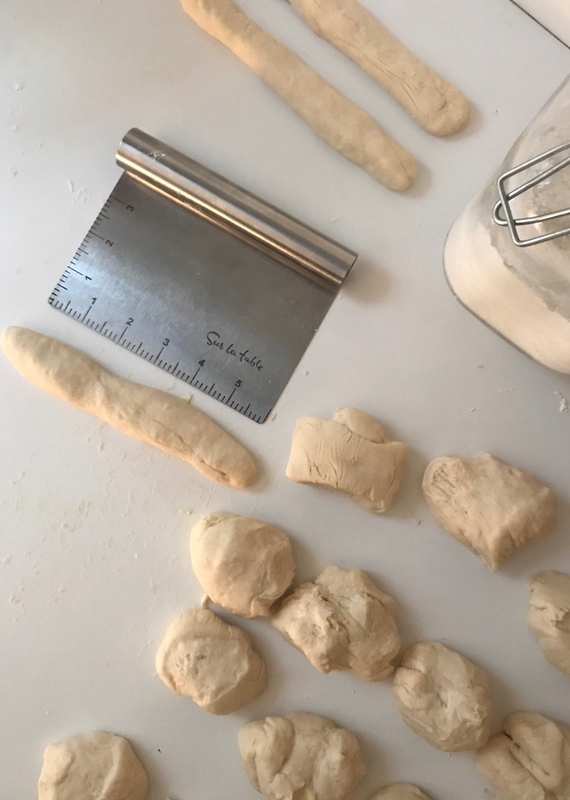 The part I wasn't as familiar with was forming the dough into uniform breadstick shapes and letting them rest on baking sheets for 45 minutes. Before they go in the oven, you brush them with butter and kosher salt, and then, while they're baking, you put together a lil' mix of garlic powder, oregano, and salt to sprinkle on them after they're done. 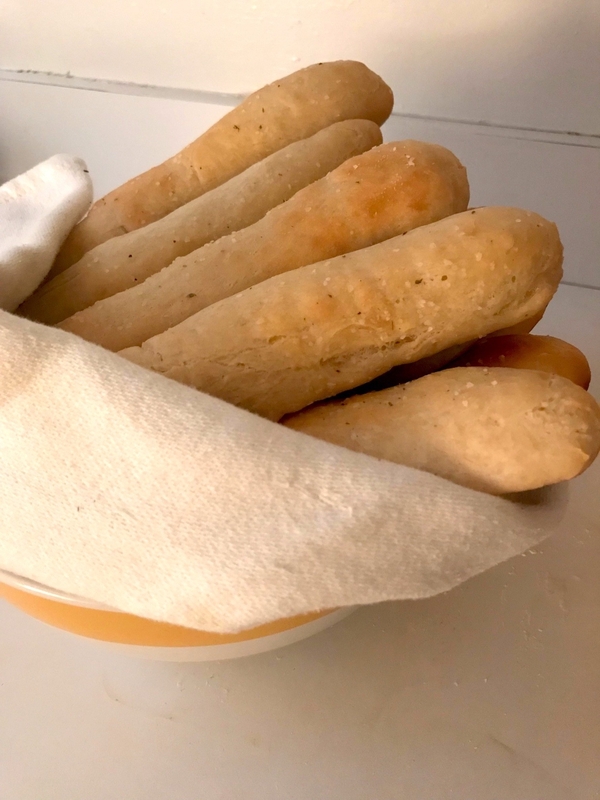 The recipe says the bake time is 15 minutes at 400 degrees, but I found that 14 was ideal for my smaller oven to give the breadsticks that paler, slightly golden Olive Garden color. One minute makes a difference, y'all. So, did these breadsticks turn out to be a believable dupe for Olive Garden's? As the Italians say, "Buon giorno!" That's all I really know in Italian, but yes! They were pretty damn close! There were a couple of differences. First of all: I am man, not machine. I wasn't able to shape all of my breadsticks into that perfect Olive Garden ~lewk~, so some were a lil' wonkier and wavier than others. But they were similar enough, and their soft and chewy interior looked spot-on. Second, don't be afraid to go big with the butter and topping! 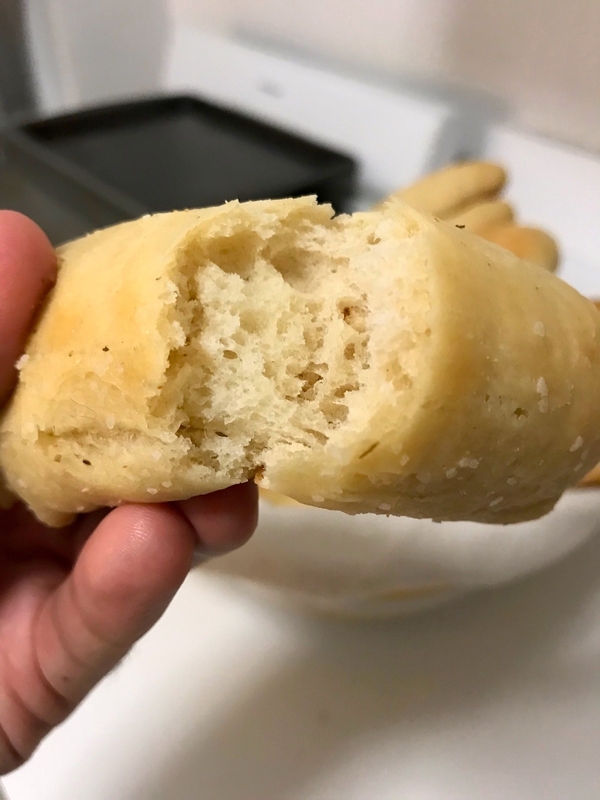 I pulled back a little on those because I was afraid the b-sticks would be too greasy or pungent, but I actually think they could've been a bit more buttery (you know how Olive Garden's always leave your fingers a little shiny?) and used a touch more flavor. Really lather on that melted butter and give 'em a solid pinch of garlic powder and oregano. When those flavors came through, I was instantly reminded of the hundreds (yikes?) of Olive Garden breadsticks I consumed growing up. With this recipe, all you need is a giant bowl of salad and a waiter named Kevin with questionable facial hair and BOOM, you'll have an Olive Garden right in your own home.